The Leinster even ages cross country took place at Avondale Forest Park, Co. Wicklow last Sunday, we were in luck again with the weather and the course was in great condition. The u10s got proceedings underway in the open race, Sophie Quinn had a confident run leading from gun to tape to win the girls race and she was followed home by Laura Kelly 10th, Niamh Murray 34th and Lily Nannery 46th. Harry O’ Connor was our only competitor in the boys race and he put in another good performance finishing 10th, this was a great experience for our under 10s who will compete again next week at the Leinster un-even ages. The u12 girls were short a few regulars but they performed very well none the less finishing 3rd in the club event and 3rd in the County team event from a very competitive field of 139 athletes. Aimee Doherty led the girl’s home in 13thth followed by Ella Healy 18th, Lili O’ Connor 37th and Eabha Toole 41st, a good team performance with all four of our girls scoring for the Meath team. The u12 boys finished 6th in the club event but had the consolation of wining the County event with good running from Tom Kilgannon 16th, Oisin Kelly had another great run finishing 23rd, Fionn Drummond 56th, Kyle Witter 61st, Matthew Hayes 86th and Stephen Kiernan 95th. Kyle, Aimee, Eabha and Fionn were all running up an age and they will look forward to their u11 Leinster’s on Sunday. The u14 boys put in another steady run, Harry Haskins finishing 56th, Darragh Casey 62nd, Fergal Kilgannon 81st and Matthew Buckley who has showed great team spirit this season 95th. 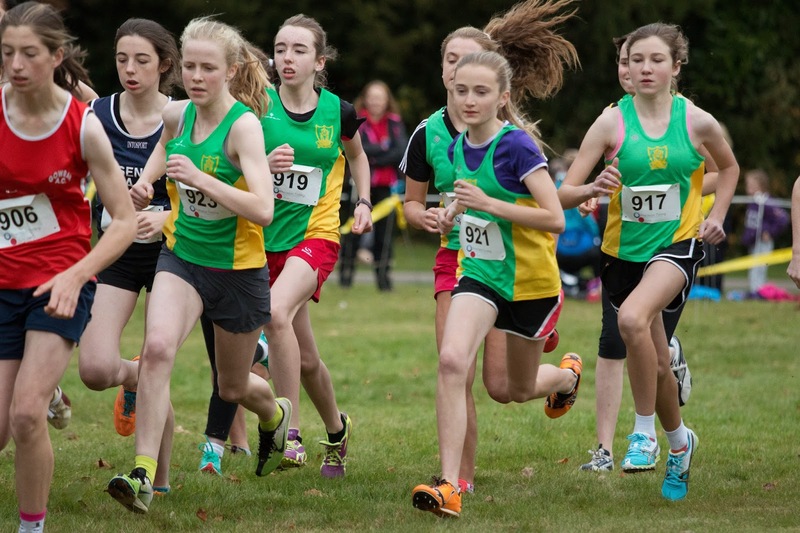 We were unable to field an u14 girl’s team, Karen Hayes and Aoife Kelly performing well finishing 31st and 85th. The u16 boys were also short a few regulars and were very unfortunate finishing just 5 points outside the medals in the club event, Alex Hunter had a solid run finishing 11th but was disappointed not to be further up the field, Ben Mahon had another good run finishing 32nd, Brian Kiernan had a terrific run in 36th and Harry Bailey who was also running up an age ran well finishing 57th. The Meath u16 boys’ team took the gold in impressive style in the Counties event and they will be strong contenders at National level. We had three u16 girls competing; Aine O’Connor had another good run but was also disappointed not to finish further up the field in 18th, Niamh Gannon, Kate Byrne competing in their first Leinster Cross Country put in a solid performance finishing 66th and 67th. The girls county team finished 3rd. Hugh Kelly competed for the Meath team in the Novice men’s 6k finishing 67th. Well done to all our athletes who competed and congratulations to our athletes who have qualified for the Nationals at the end of November.